With so much to consider we’ve put together 4 key areas you need to look into, with elements to consider and questions to ask in regards to your own requirements. As technology progresses so fast, it’s not uncommon that complementary technologies advance to a point where it’s necessary to upgrade. For example, the increase in broadband speeds in recent years has meant that the distinction between websites and desktop applications has become blurred. Future decisions should take this into consideration. Could you implement a system whereby you bridge this gap? Before making a final decision, look at how well a new application could be integrated with existing systems. 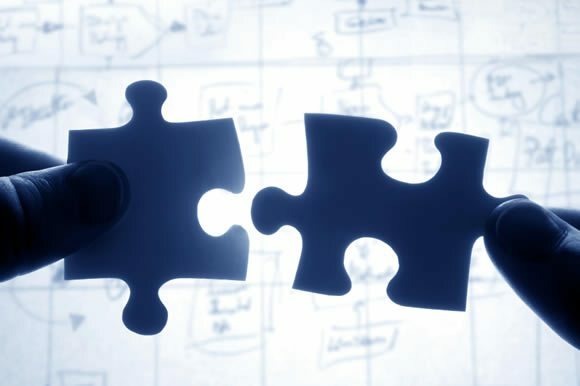 The most convenient way to connect a new application to an existing one is through an Application Programming Interface (API) but if they can’t be connected easily, you may need additional software for these specific issues, called ‘middle-ware’. If this is going to affect your budget, it needs addressing early on. The purpose of your new application will determine its success. Consider on what scale you will require it to be implemented, as scalability may impact your final decision. Load testing can help to future proof your chosen technology. Is this something you can include in the process? Furthermore, this is the ideal time point to upgrade existing systems where necessary. Once dated technology becomes obsolete, whilst it may be adequate for some tasks, there will be a lack of future updates and any issues that arrive at a later date will unfortunately remain unresolved. To avoid a rushed complete development further down the line, consider your current system at the same time as considering your future needs. Remember to ask yourself who will be using the new system and to apply means to ensure it complies with legislation. Are you complying with the Equality Act? For example, as of October 2010, the law requires that websites should cater for a variety of impairments such as hearing or sight loss. In addition, the larger a technology, the more at risk it becomes of security breaches. Consider this when contemplating a variety of technologies, and who it is for. Ultimately every business will have a price point for the project. When considering budgets, ask yourself what type of license you will require as this could be the decider when it comes to cost. If this is a non-negotiable sum, ask yourself what are your priorities for a system to help weigh up how much you can achieve within your budget. This article comes courtesy of Thomas Coles, Chief Executive of MSM Software, a UK based company specialising in software development, support and consultancy services. Could you make it in business?